Summer in India and the monsoon season soon after generally comprise tumultuous times for me. I am fond of neither summers nor the rain. They represent a slew of reasons as to why most of my recent birding trails turned out to be damp squibs. Birding isn’t impossible when it rains. They still need to come out and eat. Do their chores and keep an eye out for intruders. However it is difficult to spot birds given the graying filters that swallow terrains. The unpredictable winds that hamper identification of flight patterns. The slippery leech-infested terrains make it hard to track them down. In such cases though, I have learnt to set aside my expectations to just stroll with the flow. Last month, I took off for a week and went trekking in and around Kerala. It was cloudy almost every day with no chance of the hot curry sun or the winged creatures that dance under it. Bad weather isn’t a big deal though. It has never had me regretting any trip to the hills. I always get to spend precious moments with Drongos, Thrushes, Barbets or Mynahs – residential birds that are mobile alarm clocks during the day and traveling music boxes by dusk. 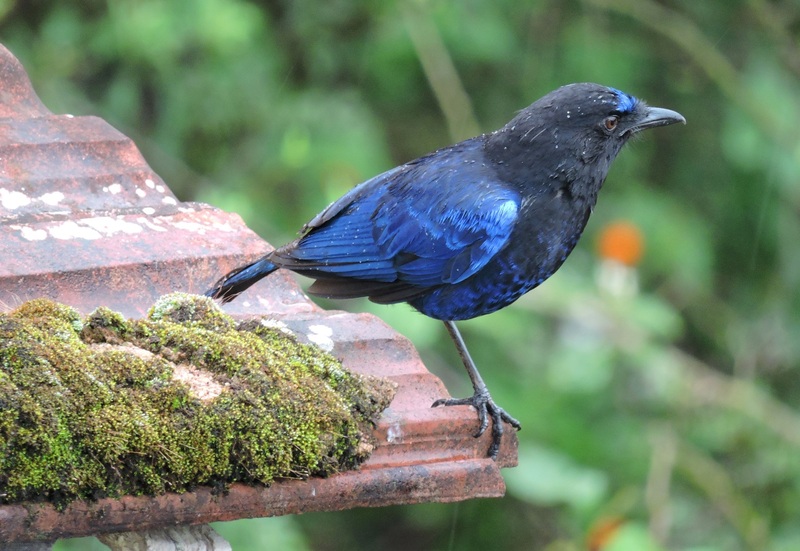 I first stayed near a guava farm in Munnar that a pair of Malabar Whistling Thrushes called home. Every few minutes, they would whistle piercingly loud. Their high-pitch frequencies sounded surreal; as though it was once decided by nature that only dogs could hear them but somewhere down the line – the memo was lost in translation. I have also had the loveliest and the most non-intrusive neighbours in the hills (with the exception of Bonnet Macaques and Jungle Crows). 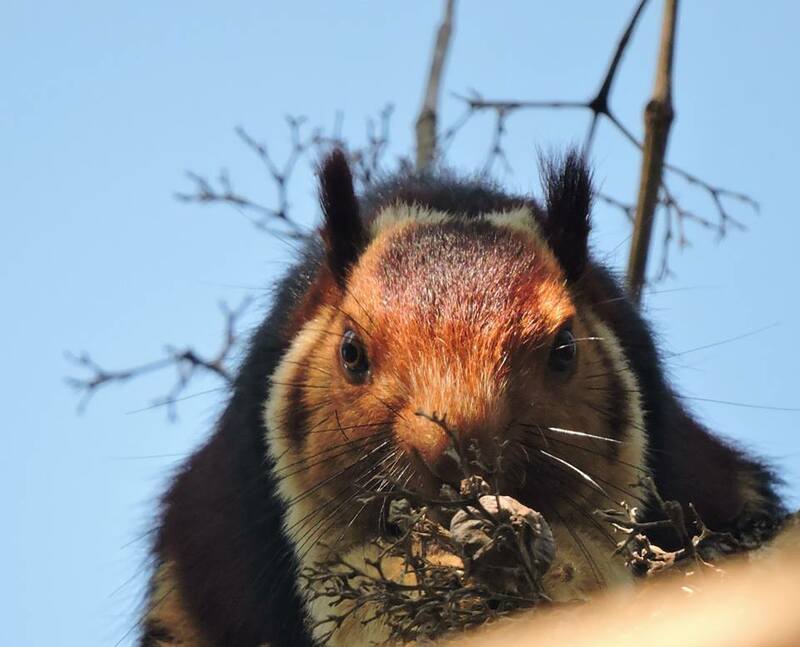 I had a Malabar Giant Squirrel for one during a cloudy evening in Thekkady. It was a thrill to see her exhibit impressive parkour skills to gather food before the rains set in. 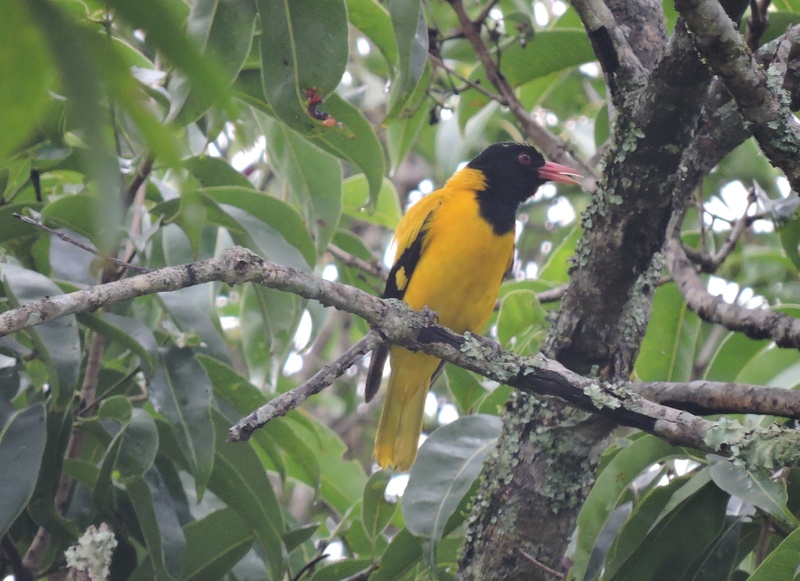 Having taken shelter in the Gavi forest, I saw a Black-Hooded Oriole fly in with the sort of gorgeous yellow that the morning sky was denied. She kept me company until a rainbow showed up, followed by the opalescent moon. 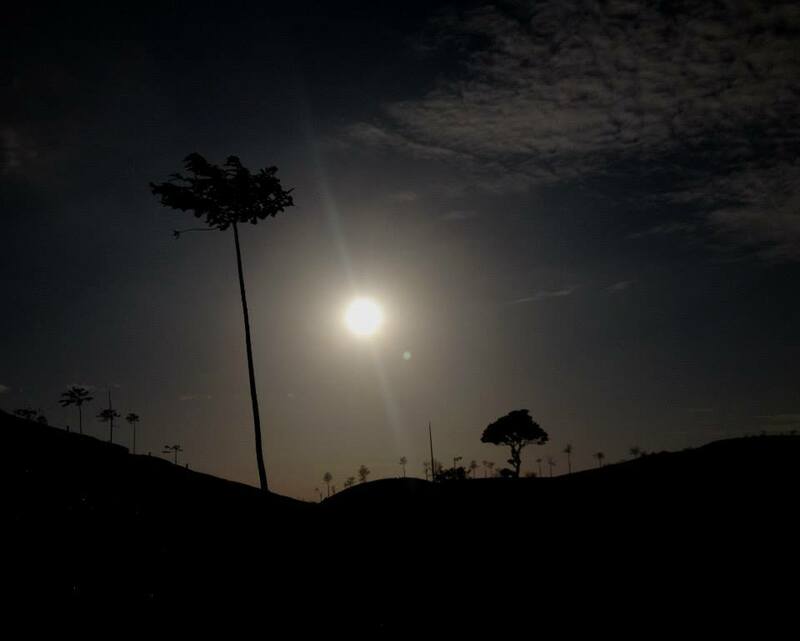 I had also spent a night at Vagamon near a ginormous tea estate. The cottage was picturesque like a place I knew from a dream. Or maybe a childhood memory. It was unnaturally serene. The locals were kind and accommodating. But there wasn’t much to do considering it rained all day. Thankfully the local toddy had an strange tamarind aftertaste, which got me curious. It kept me warm and in the mood for writing a majority of this post. Truth be told, any trip to the hills feels a little bit like falling in love. The trees seem to extend their branches to hug even trespassers. The soil stirs beneath, murmuring with life, awakening insects to deal with the day as they know it to be – quick, frantic and free. Even the weather changes with a fair warning, leaving us with enough time to seek shelter. Sometimes, even to shoot a video of the clouds, brimming with rain, breakfast on summer’s fieriest peaks. Also spotted – Malabar Parakeets, Vernal Hanging Parrots, Loten Sunbirds, Greater Goldenbacks and a Malabar Barbet. That black hooded oriole.. such a striking yellow.. a perfect accompaniment to a green and grey Munnar in the rain! Lovely! Oh yeah 🙂 the prettiest hangman costume ever! So is Mallu Land ur new found luv? Giggles. Any hill, irrespective of state, would do nicely for me! Thanks sajitha, do visit if you can between November and February. Hope you ve been good! The orioles and the mynahs…oh how I miss them. ‘Mobile alarm clocks that double up as traveling music boxes’ pretty much sums them up. In Malaysia, I enjoyed their morning songs outside my open windows — they were open all the time. Alarm clocks for sure. Fantastic post! Made me wish I was there. Glad you are getting some life breathed into you via the hills. House finch it was yesterday. Loud and clear like his very life depended upon it! I’ll put a recording of him up this weekend. Still can’t manage to get a decent snapshot though. I did go to Munnar in the year 2012 but on a professional level.Being a script writer, I had to go with the crew for the entire three days and left on the third night itself. Could not enjoy much at a personal level. I loved that place. Wish I could go again someday! Thanks for making me recapitulating that trip. I enjoyed your piece a lot! Oh I can see how munnar can be conducive for script writing 🙂 hope it turned out great for you. It’s a joy to share my experiences and have people relate to it or see another perspective. Thank you so much for reading! “Any trip into the hills feels a little bit like falling in love.” Despite living in one of the flattest places on earth, I couldn’t agree more. ❤ it, You are the best! Beautiful photographs! 🙂 And yes, hills are the best. Thanks Sheth, they certainly make for beautiful subjects. And have love, will sit on a hill! Came across this and thought of you… And since you have no dearth of stunning photographs to your credit, wouldn’t it be nice to give it a shot? 🙂 Your choice. ❤ thank you so much, lovely to have you here after so long. Will definitely give it a shot, dear friend! (Big smile) you are too kind, lass!